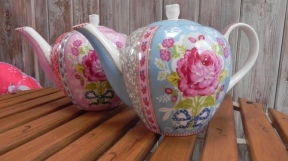 PiP Studio large capacity teapot can only be described as strikingly beautiful. Large flower design to side of teapot with floral ribbon pattern to front and back. Flower design handle on lid. A truly beautiful teapot. 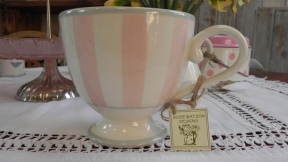 Susie Watson large mug is the coco drinkers mug of choice. Great shape and with a huge capacity. Perfect. 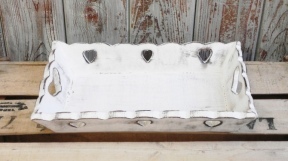 These vintage style scalloped edge heart trays are hand carved from sustainable mango wood. They are practical and beautiful and finished in distressed white for an aged appearance.